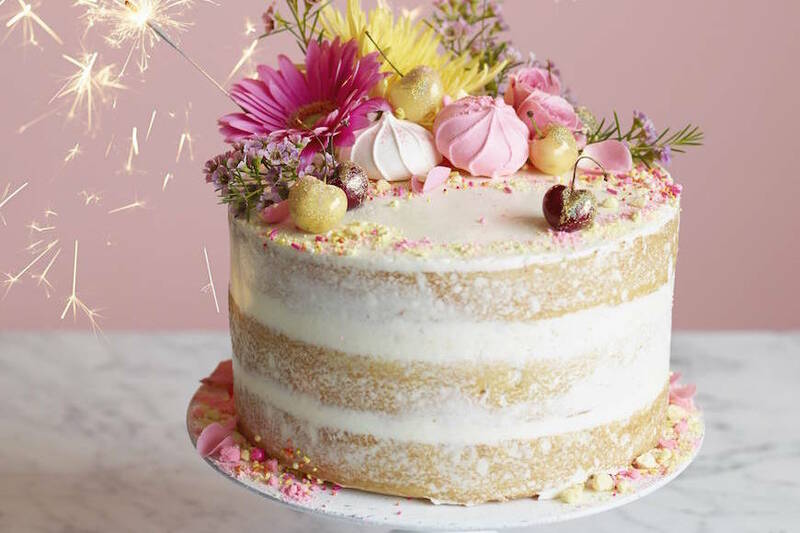 Layers of cake, lemon curd, crushed meringues, swiss buttercream and sparklers. Boom. What more could you ask for? I’ve been dying to make a naked birthday cake forever – basically one that’s barely frosted on the outside so you can see all those glorious layers on the inside!! And because it needs to be bright and cheerful (just like me) we threw on a bunch of pink and yellow candies and flowers PLUS some sparklers on top. Because it’s not a birthday without sparkles and a billion calories! If you need me I’ll be taking a fork to this cake and hanging out because calories don’t count on your big day! Preheat oven to 350 degrees F. Butter and flour three 9-inch cake pans. In a electric mixer with the paddle attachment, beat the butter and sugar together for 3 minutes. Add eggs, one at a time, Beat in the vanilla. Reduce speed to low and add half the flour mixture. Add 1 cup of buttermilk and mix until combined. add remaining flour mixture and beat. Add remaining buttermilk and beat. Remove from the mixer and finish mixing by hand if needed. Divide the batter amongst the 3 prepped cake pans. Bake until golden brown and done, about 30-35 minutes. Let cakes cool for a few minutes and then remove to a wire rack to cool completely. Bring a few inches of water to a boil in a saucepan that can hold a standing mixer's bowl above the water. Whisk the sugar, the egg whites, lemon juice, and salt in the bowl by hand. Set the bowl above the boiling water and continue whisking until the mixture is hot to the touch and the sugar dissolves, about 1 to 2 minutes. Transfer the bowl to a standing mixer fitted with the whisk attachment and beat the egg whites at medium-high speed until they almost hold a stiff peak and are fully cooled, about 10 minutes. Beat in the butter, a little at a time, until the icing is smooth and spreadable. To assemble the cake, place one layer of the cake on a cake stand. Spread 3 tablespoons of lemon curd on top of the cake and sprinkle with some of the crushed meringue cookies. Spread a 1/2 inch layer of the Swiss Buttercream on top and carefully place the 2nd layer of cake on top. Repeat the process with additional lemon curd, sprinkled meringues and more Swiss Buttercream. Add the last layer of cake of top. Frost the top of the cake with more of the Swiss Buttercream and add a super thin layer of the Swiss Buttercream to the sides of the cake. Frost until smooth. Decorate with any desired toppings and serve as needed. Oh, happy birthday, Gaby!!! Yay, to month-long bday celebrations, right?! Love the cake! Happy Birthday Gaby from Arizona! Hope you enjoy your day and that wonderful Birthday cake. Happy Birthday. I’m a June girl too. This cake sounds marvelous. I’ll have to try it too. Have a Wonderful Birthday Gaby from WA state!!! just so beautiful!!! happiest birthday wishes darling girl! What a special day!! Happy, happy birthday darling girl! Happy birthday Gaby and what a gorgeous cake! Penblwyd Hapus! Happy Birthday! Have a fabulous day. Looks gorgeous! Naked cakes are the best 🙂 Perfect for a birthday! Love you recipes. Hope you have a HAPPY BIRTHDAY ! Love your recipes. I hope you have a HAPPY BIRTHDAY ! Happy birthday! I adore the sparklers and pink… so cute! This is absolutely gorgeous! I hope you had a wonderful birthday! This is stunning! Birthday cakes are the best and I love the lemony flair to this one. And a very happy birthday to you! I love, love the idea of this cake. I am always trying to find new tricks to making a less sweet frosting, when really what I want is less frosting! It’s just too sweet. This cake is gorgeous despite the fact that it isn’t covered in mountains of frosting. Awesome! This is beautiful. The sparklers are the perfect touch! Happy Birthday! Happy Birthday! 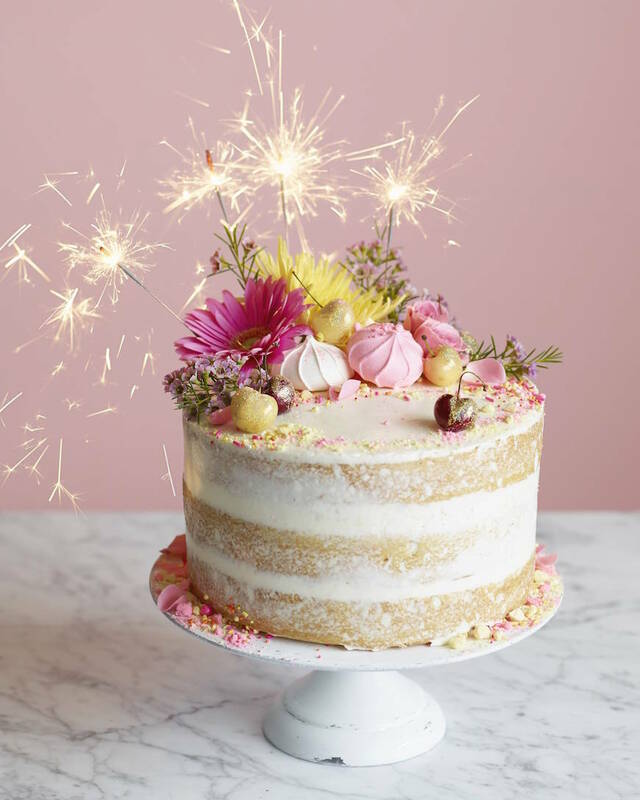 The sparklers are a true show-stopper atop this beautiful cake! How did you do those beautiful cherries? Thanks! they are painted with edible glitter dust! So I’ve never made this intricate of a cake before. Is it really 1 1/4 pounds of butter for the frosting? That just seems like so much. Maybe I just haven’t made frosting in awhile. This looks amazing! Is it possible to make the cake ahead of time? you could make the layers ahead of time – wrap them up each very tightly – and then freeze. and then take out, thaw and assemble the day of! Pingback: Les tendances mariage 2016 - Youpi ! La vie est jolie ! I love your beautiful, refreshing cake……. where can I purchase the sparkler candles? we got ours at the local craft store! Like a Hobby Lobby? I was hoping to odor over the internet…. we live a distance from a large city. But Thanks I will look into it..
What a great Cake recipe. This is must for Mother’s Day Gifts. I like and appreciate this. Hi Gaby, love your idea! 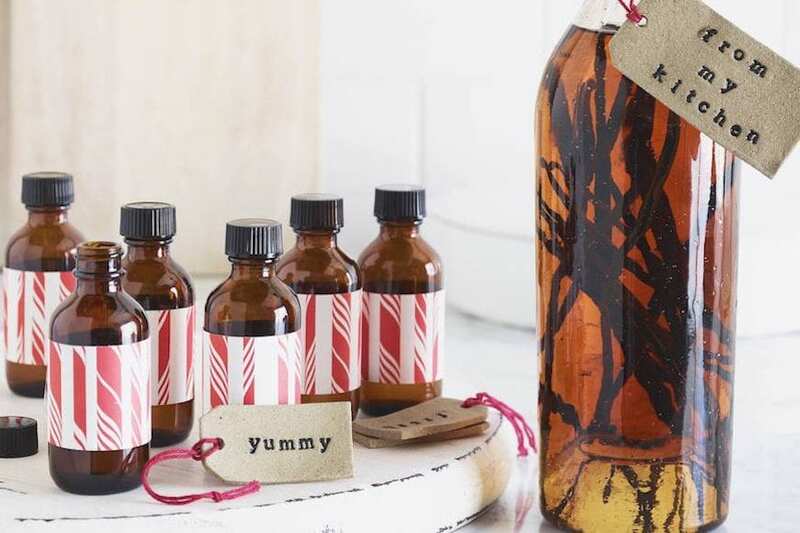 Going to make this for my Mum’s birthday! Did you use real flowers on top? yes!! any of your favorite flowers- just take them off before eating unless they are of the edible flower variety! Thanks 🙂 can’t wait to give it a go! Do u cut the tops of the cake layers before layering? Not mentioned in the recipe. 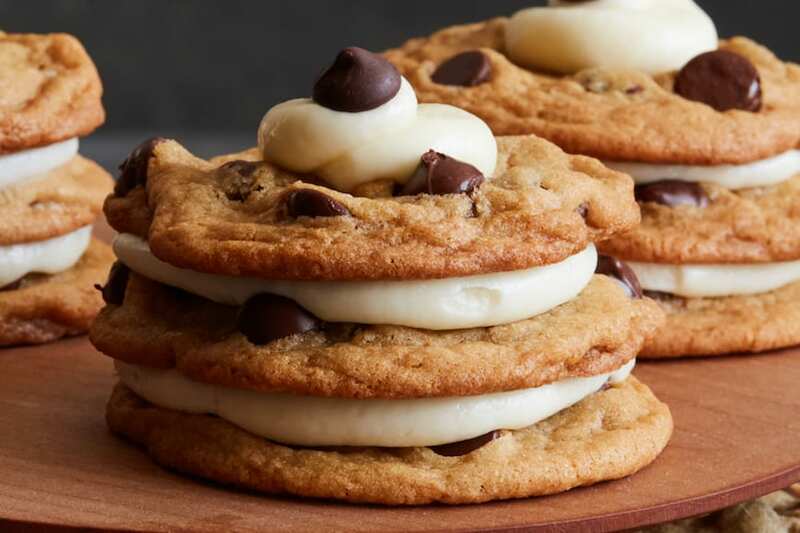 no – we didn’t as they baked straight across – but you certainly can if it baked into more of a dome shape! My granddaughter wants this cake but i don’t know what lemon curd is. 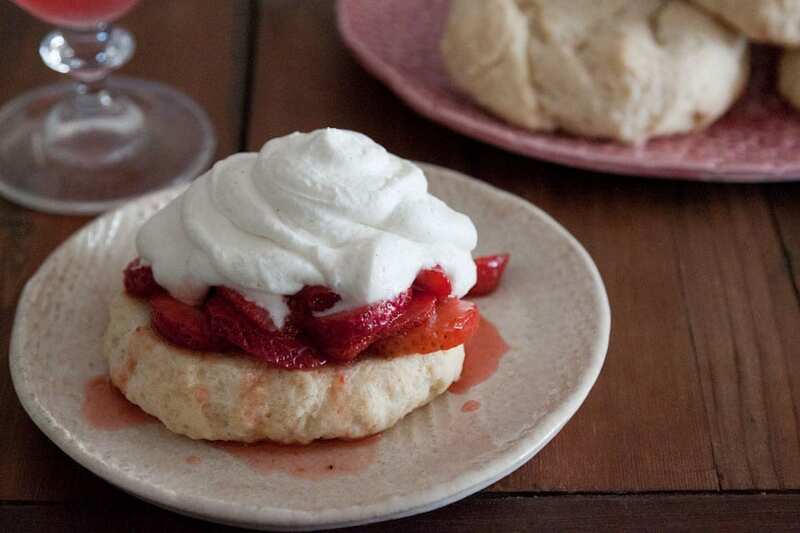 One more thing, do you make the meringue cookies ahead of time or do you buy them somewhere? you can buy lemon curd at the grocery store! Lemon juice and rind cooked with egg yolks and sugar to make a soft paste. It’s easy to make, there are probably lots of recipes on line. A good one is tangy and not too sweet. I’ve tried so many times to make a naked cake, but I always end up covering it up with frosting as I don’t like how messy/crumbly the sides look. What’s your secrey for perfect cake sides that are worth it to be left out like your beautiful semi naked cake? Thanks Gaby! Hi! I think I read that you used real flowers. What did you do about the pesticides or were they organic flowers? I am baking a cake that will be topped with flowers as well but can not find edible or organic. Did you just wash them off before putting them on top of the cake? Can I leave the macaroon cookies out? of course! they are just decoration!